The developers have applied to build a substantial 30m concrete bridge inside the reserve to span Te Arai Stream at the western boundary of the reserve. There has been no public notification of this process. 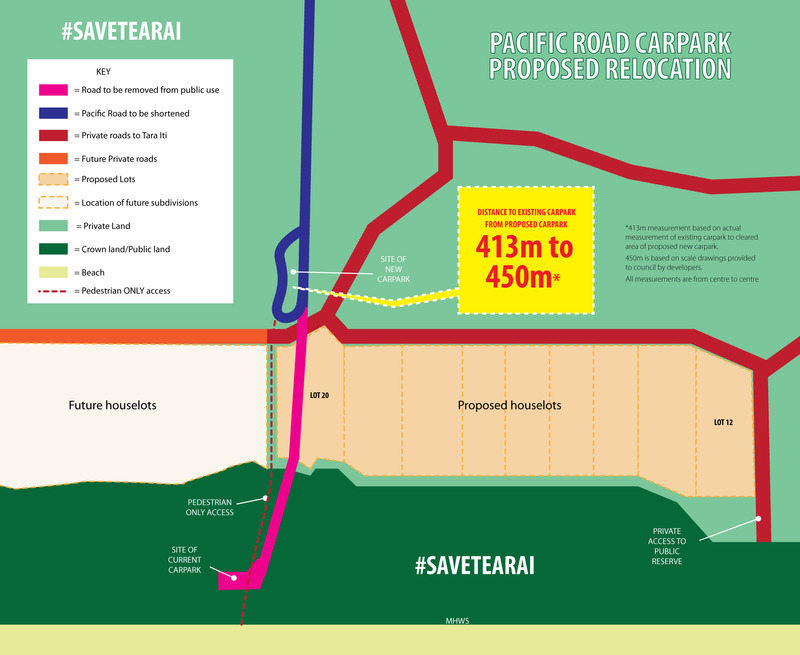 SAVE Te Arai has expressed their concern of such substantial and unnecessary constructions inside the reserve where there is ample road access to the area of land south of the stream from Te Arai Point Road and Te Arai Point Regional Park. A bridge is not necessary and will impact on the sensitive ecology of the stream and the existing flood plane which the developers wish to use. The impact on the stream and inland farm land will be prominent and this is all WITHOUT PUBLIC NOTIFICATION, or even limited notification for adjacent farmers and land users. There has been budget approval by Auckland Council to begin the rather long process set out in the Reserves Management Act for a comprehensive, publicly notified Reserves Management Plan. We believe that no works should occur inside the reserves until the plan has been completed and that public has had input into the plan. In July the developers applied to Auckland Council for retrospective consent for the works they have been doing to the dam across Te Arai Stream since the washouts that occurred last year. It has been made very clear to council that any man made structure in and around the stream should be removed and the only reason their was severe damage to that area of the stream was due to previous works by the developers to create a dam to help retain water for the substantial pumps upstream which feed a large reservoir which in turn feeds Tara Iti golf course. Currently the consent is with council and we have been in contact with them to express our concern for the ecology of the stream local fauna including the endangered NZ Fairy Tern. 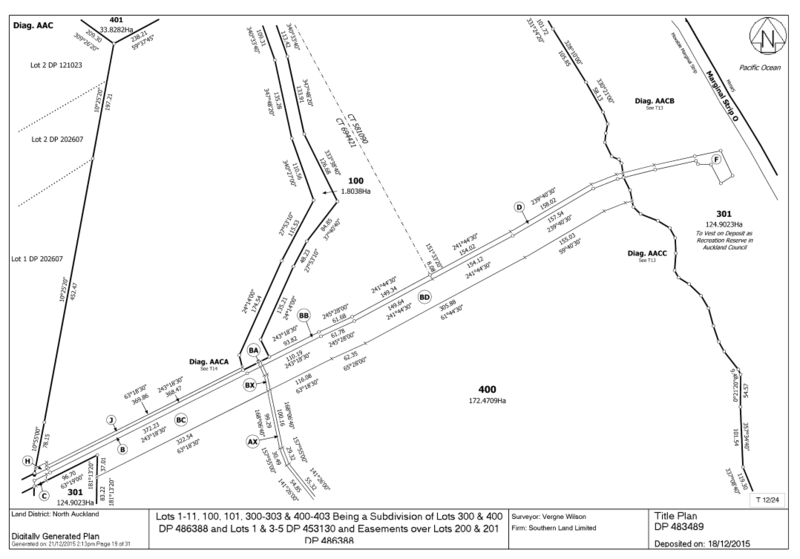 The realignment of Pacific Road to the new alignment south of the current Pacific Road has been stopped by LINZ as it was deemed to not follow legal procedures set out in the RMA. The decision is currently back with government to decide on the steps needed to follow due process, we have been in contact with the responsible ministers urging them to do the right thing and follow the public notification process laid out in the RMA. We will update when we hear any more. The developers have gone ahead anyway and laid ground works through the public reserve for the realignment even before getting the easement processed through government. Auckland Council are allowing all of this without public notification. Currently the developer has proposed lots 12-20 along the foreshore with lot 20 cutting off a pre-existing public easement to the pre-exisiting carpark at the beach end of Pacific Road. They have proposed moving the carpark 413m to 450m* metres inland and provide a gated public walkway from the carpark to the beach. This proposal is fundamentally against the pre-existing public easement, that allows for a 50metre wide easement along Pacific Road. That the easement be capable of accommodating; pedestrian, cycling, equestrian, motorcycles and light vehicles. Clearly a pedestrian only access precludes 4 of the 5 conditions stipulated on the PCC166, conditions which have been in place since the easement was formed in 1989, and prior to that as the land was crown land. To date (14-04-2016) the Auckland Council “has not received an application to approve the section 223 survey plan” this application needs to conform to ALL conditions in the RMA, PCC166 and interests listed on the title. Below is the excepted changes to the existing public access which we have illustrated for you to provide the full picture. Please note in the Subdivision Consent application there are three differing plans of the carpark and Pacific Road, one option doesn’t include any carpark at all and ALL options include severing the existing access and reducing it to pedestrian only. *The 450m measurement is taken from centre to centre of existing carpark to proposed carpark from the scale plans submitted to Council as part of the development. The 413m measurement was taken using a measuring wheel along the current pacific road measuring the distance from centre of the clear felled area of the proposed carpark to the end of the pacific road at a distance equal with the centre of the current carpark. We did not run this measurement to the centre of the current carpark as that would give an exaggerated measurement. Please note that the 413m measurement is based on what is currently felled in the proposed location and a final survey is still needed. What legal public easement is there now? Below are two excerpts from the full title survey which show the registered public easement that was deposited 18/12/2015. If you wish to download the full title survey then you can HERE. What public access do we have now? Let your local MP’s and Auckland Council know what is going on. Register your support for the public easement of Pacific Road to stay in its current state with carpark in existing location. Request that the council makes Pacific Road including the existing carpark a public road. Request that an independently arbitrated public hearing be held with Auckland Council, local community and the development’s joint venture partners in attendance. Request that any more activity on this issue and all future consent applications be FULLY NOTIFIED. 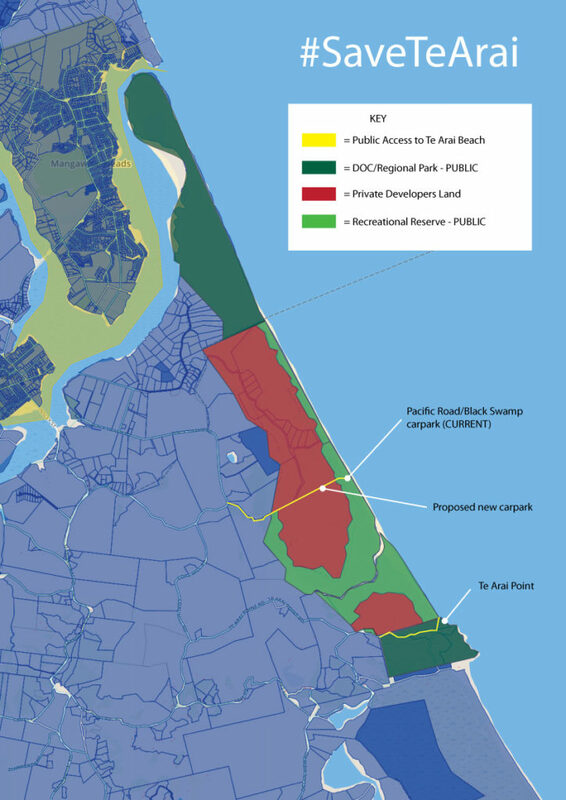 Report on objection by Developers in their efforts to move carpark and privitise beach. They directly challenged the Environment court decision, RMA 65973 Notification report and all previous easements. All behind closed doors without any public notification. It has come to the attention of SAVE Te Arai that the developers of Tara Iiti Golf Course have not been fulfilling their resource consent conditions. These relate to matters of environmental sustainability, plantings, boundaries and the supply of personnel to environmental organisations. We are collating information on the current status of key points of interest relating to these breaches of the RMA.